L-3 Communications, located at Majors Airport in Greenville, Texas, rebuilds and updates military and government aircraft. 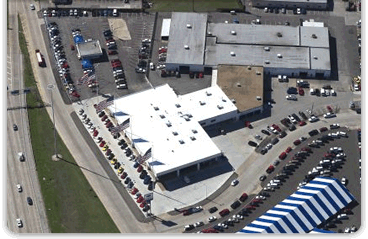 We were brought in for a project that would last more than one year and spanned 1.2 million square feet of metal roofing on multiple buildings. The L-3 facility is highly secured, and even works on Air Force One. This meant working around their schedule when important aircraft were onsite. In addition, we were required to have individuals on-hand who were dedicated to making sure debris was removed immediately from the premises to avoid disrupting or damaging the aircraft. DFW overcame each obstacle while working closely with our L-3 Communications clients and keeping the lines of communication open at all times. We met all of their commercial roofing expectations on this operation and we continue to partner with L-3 to provide them with years of problem-free roofing. 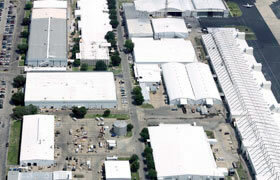 Subsequent projects at L-3’s Greenville facility include making repairs to our roofs damaged by other contractors; sealing in new penetrations; making client-requested changes; insulating several interior buildings; and sealing a containment pit.